What I’m doing – A Swedish death cleanse… feels so good to let go of the clutter! As a parent of elementary-aged boys I spend a fair amount of my time thinking about their development. The news cycle of the last several weeks helps remind me of the importance of my role as a parent and, more specifically, as a father. I spend a good amount of time working to assure that my kids focus on making good decisions, accept responsibility for their behavior and are leaders. My younger son is at a stage where he is asserting his independence with words and a heavy dose of huffy body language. It’s a challenge for my wife and I to resist getting huffy in response. The worst part of this stage is his near constant assertion of “I know!” in response to our counsel. He is seven and still learning the need to consistently perform basic things reliably and obviously still learning school concepts. While both my sons do well in school, my wife and I choose not to focus on achievement but on mindset and social skills. My wife, an early childhood educator, assures me that a focus on teaching our kids a love of learning is a process. 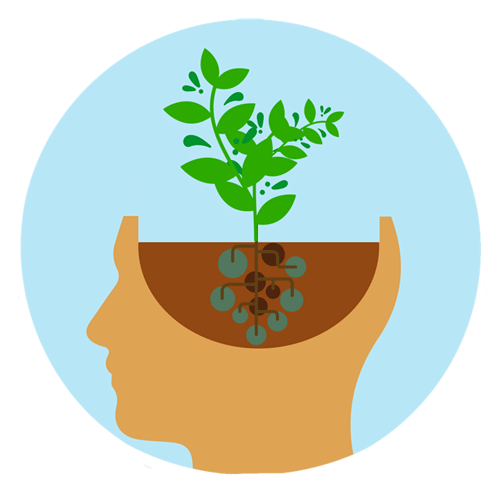 A large part of that process is about mindset – Stanford professor Dr. Carol Dweck wrote the book about mindset in 2006 and focuses on the difference between fixed and growth mindsets. Fixed mindset people think that they know all they need to while growth mindset people accept feedback and new information. My organization is probably not dissimilar from many others – for a long time the investment in training and development was cut or limited to a select few. I have attempted to reinvest in learning programs with an eye to improving our internal and external customer service. Recently, my organization’s department heads spent the day in a team-oriented training built on the Patrick Lencioni classic the Five Dysfunctions of a Team. The training used a lot of group discussion to help us evaluate where we are and prioritize actions to move us forward. It was a good day of open dialogue and we came away with a long list of to-do’s. For me, a big takeaway (and opportunity) was the words of several of the department heads. These department heads said things at various points throughout the day indicating their fixed mindsets. Comments like, “why do we have to change things that have been working” are a red flag for organizational growth. Resistance to change indicates a fixed mindset response to the risk of changes, the discomfort of adaptation, and a selfish focus on control. Government – like my seven year old – resists feedback. In doing so, we diminish our ability to adequately meet the desires of our consumers. A fixed mindset can view knowledge as binary – you either know something or you don’t – that makes it hard to believe you can change. It’s not smart or not, smart people can have a fixed mindset and that holds them back from reaching their full potential. Adopting a growth mindset can (and should) be coached through questions and experiences. Learners use of the word “yet” – as in I can’t do x YET. Making mistakes is OK so long as we examine the failure and learn from it. Give stretch assignments because they may lead to an employee’s autonomy and increased confidence. Encourage exploration and continuous learning. Embrace feedback as opportunity for improvement and understand that the challenge of meeting others’ expectations is a journey that does not end. Work on yourself by examining your thinking and personal growth opportunities.